The Caremart Anatomic Wooden walking stick is a wooden walking stick with a classic design. In addition, provided with a secure anti-slip cap. The Caremart Anatomic Wooden walking stick is a wooden walking stick, which is made according to a familiar concept. 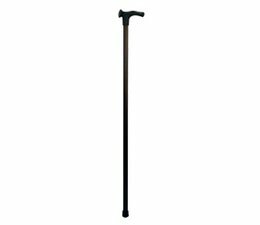 The wooden walking cane provides support for indoor and outdoor use. Thanks to the anatomic handle your weight is equivalent spread across the palm. The wooden cane is available for left and right handers. The Caremart Anatomic Wooden walking stick is a standard cane. The wooden walking stick is made of lightweight material and features a secure non-slip cap that works simultaneously sound dampening.